WE ARE THE DRIVING FORCE THAT GETS EMOBILITY MOVING. The future of mobility is electric. 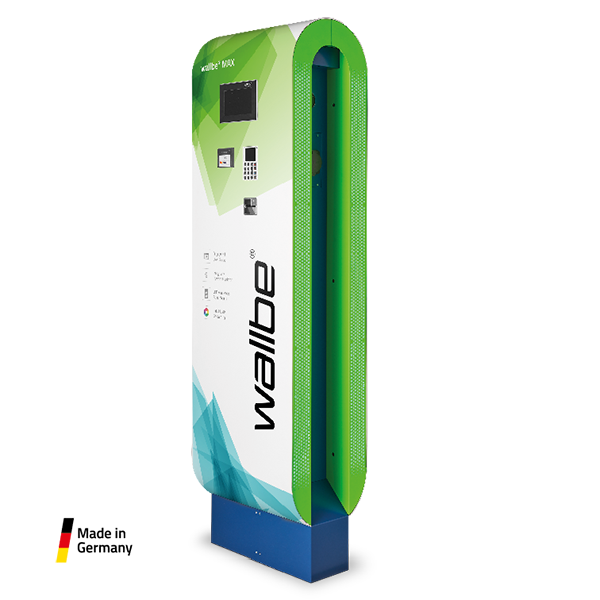 wallbe® already plays a major role in the advances being made in the field of electromobility. Our smart charging solutions, carefully planned networks and efficient control bring together all the necessary aspects of modern charging. We focus on a holistic approach, so our staff of experienced electrical specialists, IT experts and engineers work together to develop innovative solutions which meet wallbe®’s self-imposed high standards. Our aim is to offer flexible and efficient products that provide the optimum solution for the individual needs of our customers. Providing expert advice is just as important as offering a suitable range of products to cover the needs of all application areas. This approach also takes into account the specific individual requirements and operational processes of the company in question. This know-how has turned wallbe® into one of the driving forces in the field of electromobility. Our low-cost, flexible charging solutions contribute to a better, faster, more efficient expansion of the necessary infrastructures. The enormous growth potential in this sector is nowhere near being fully exploited, so we offer individual solutions for a large number of business models in a wide variety of industries and applications. Our customers appreciate our competence and expertise in the creation of all types and sizes of charging infrastructure. Because we are a one-stop, full-service provider who offers advice, planning, execution, installation and maintenance. Using only high-quality materials and components, and in collaboration with our trusted partners and suppliers, we have been working for many years on the continuous development of our solutions. Our aim is the long-term improvement of their performance, convenience and durability. We have many years of experience in the conception, development and operation of reliable charging solutions. We also provide qualified, expert installation and commissioning services anywhere in Germany. 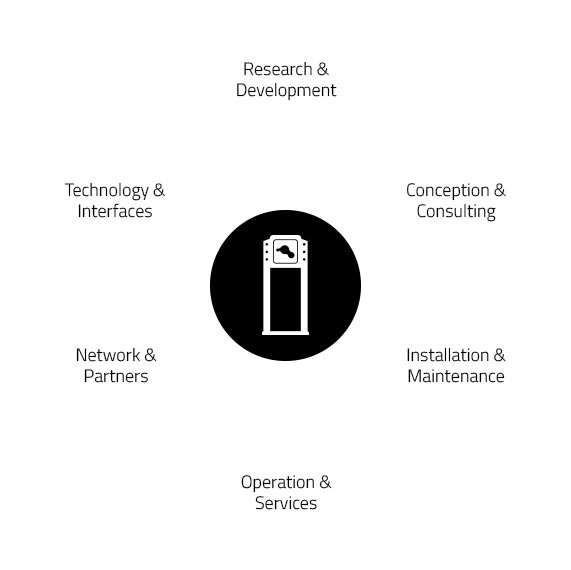 Technology, research collaboration and a wide-ranging network of partners for innovative and productive charging concepts.